I should totally try dry brushing... Thanks for sharing! I had my doubts about it working, too. I love dry brushing! I use a copper-bristled dry brush and it removes a ton of dead skin and seriously reduce the annoying keratosis pilaris bumps I get on my arms and upper thighs. Thanks for sharing!! Need to try it out. Dry brushing is one of those things that I've heard about often but never given it a go myself. I heard about this a couple years back but never gave it a chance. You reminded me about it with this post, so maybe I'll give it a try this time around. Especially since it does seem to have good results!! 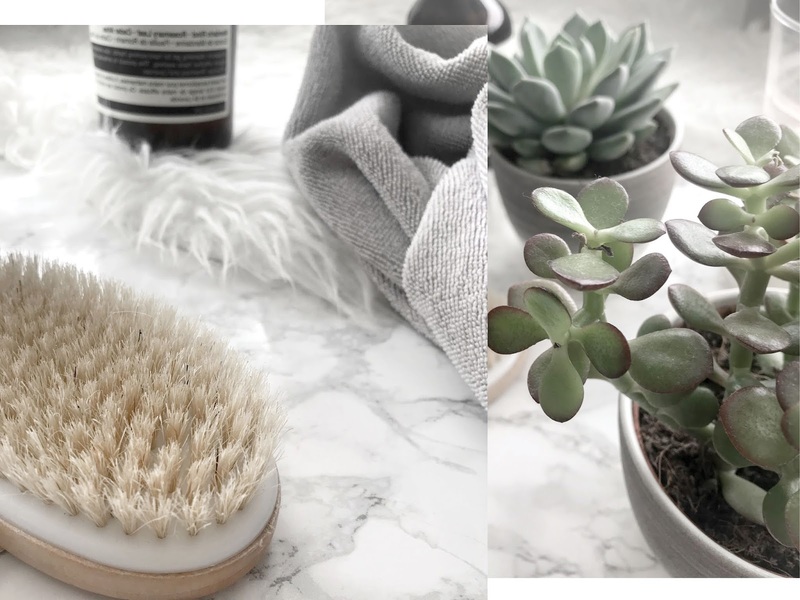 Can't live without dry brushing, it's one of my favorite wellness rituals. never heard of this before but my skin could definitely do with one. don't like the idea of rubbing off all of the fake tan i'm currently sporting BUT might be worth it for baby soft skin. I've honestly never heard of this before, but I think I'm going to give it go!! I have been so into this lately with my skin just flaring up! YAY it's life changing isn't it! Ooh wow this is actually my first time hearing about dry brushing. I never knew you could reduce cellulite this way. I'd love to give a try as well now and incorporate it into my routine. I've never heard of dry brushing before, but I am totally sold on it. I fake tan a lot so my skin could do with some extra TLC. I think this would be perfect, or at least, wouldn't hurt to try. I feel like I really want to try out dry brushing soon! YAY let me know how it went! Are you for real? Wow, we learn new things always. Gotta try this. Thanks for sharing. haha YES! You need to give it a go! Never tried dry brushing and I had no idea that it would help would cellulite?! Amazing! I've heard of dry brushing, but I never had time to look that much into it. Thanks for sharing the info! I've never heard of dry brushing! So interesting and glad to hear it works! Sounds like an easy act of self care, and good for the environment too, since it doesn't require the constant purchase of new products! This sounds interesting. I'd love to try this myself. Thanks for sharing dear! Let me know how you are getting on with it! These are some great tips! I never knew how beneficial this could be for my hair! Thanks for sharing. Thank you so much Jenifer!